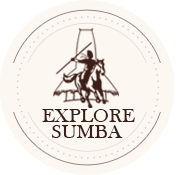 The full day Sumba tour starts with a visit to Bawana Beach. Before you arrive there, you have to drive on a sandy road which guides you through a massive field of high grass, which gives a very adventurous feeling. First we will stop at the viewing point where you can see Watu Maladong and Bawana Beach. The beach of Bawana is a long, clear and colorful sand beach located under a majestic cliff heading to the Indian Ocean. This extraordinary combination makes it an unique view. Whilst the beauty is unquestionable, the beach is still unknown by most tourists, which makes it almost private and very clean. Later on, we climb down to the beach where the big arc is located. The climb is very steep, so you have to be careful! But when you are down, it is all worth it and you will be standing on one of the most beautiful beaches in Indonesia. The full day Sumba tour will move on with our journey and we will explore Watu Maladong , the beach where you can have a look at the enormous big rocks in the middle of the sea. It gives you slightly the feeling that you are in Ha Long Bay, Vietnam. Because of the big rocks magically coming out of the water. We will continue our journey to Mandorak Beach. The beach will provide a great and peaceful stay with nice spots. A big opening between two rock ridges will let the clear blue water pass through the beach and also let you look far into the ocean. When you are there, you can also take the higher ground which will give a view of the coastline and the rocky cliffs. To end our full day Sumba tour we can watch the beautiful sunset looking over the beach, if time allows us.